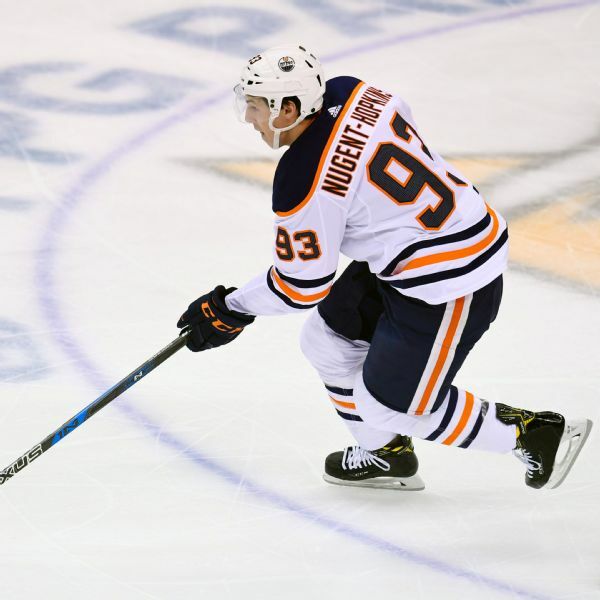 Injured last weekend against Vegas, Edmonton will be without Ryan Nugent-Hopkins, its leading scorer, for five to six weeks after he was diagnosed with cracked ribs. 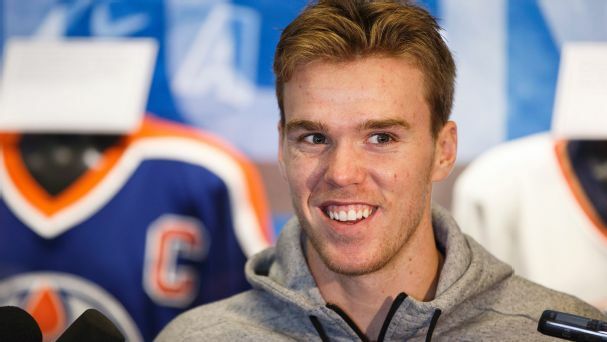 The difference this season for the Edmonton Oilers is that they are more than just Connor McDavid. 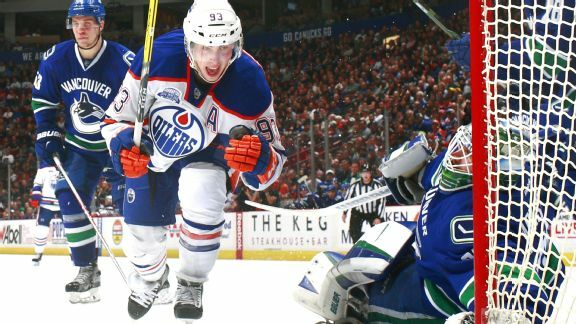 Plus, Auston Matthews' cool and calm demeanor continues to shine for the Toronto Maple Leafs. 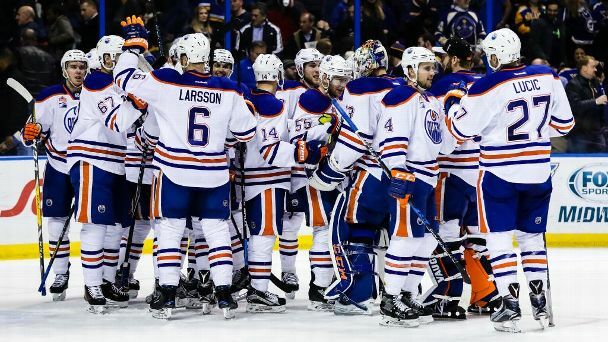 Is it too soon to say Oilers have turned the corner? 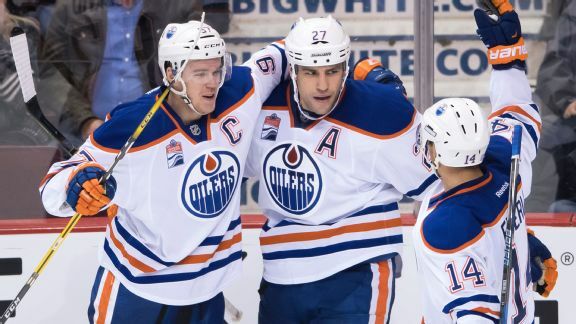 After a decade of misery in Edmonton, the Oilers -- thanks to deft coaching, top-shelf goaltending and, oh, that Connor McDavid kid -- are rolling, but trying to keep things in perspective. 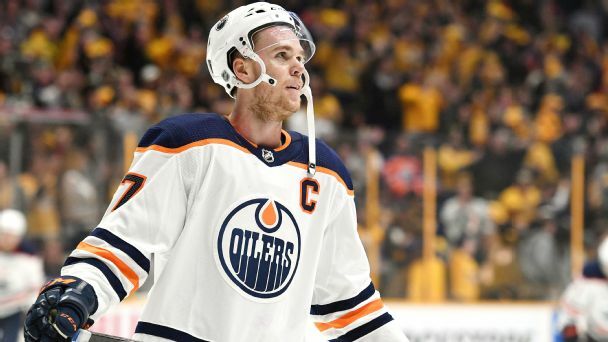 Corey Pronman checks in on the Oilers' rebuild, including a breakdown of strengths, weaknesses, their path forward and how soon they can contend. 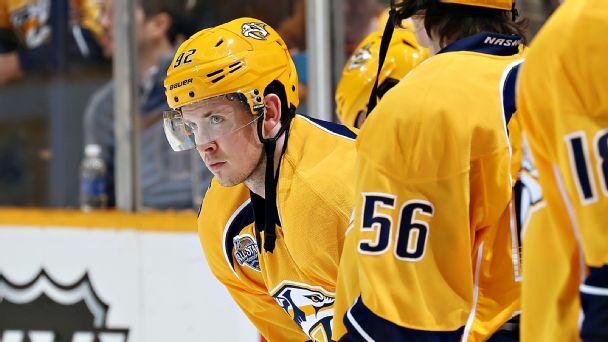 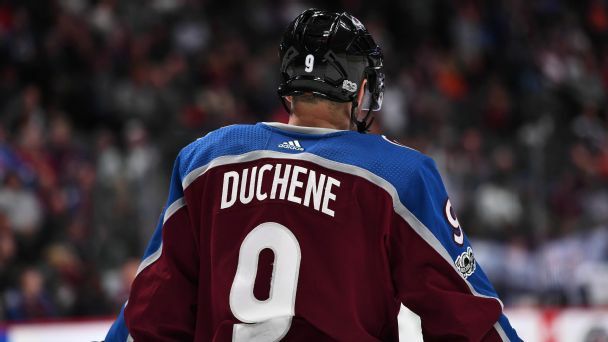 Nashville and Minnesota want to add more depth before the trade deadline, but they aren't the only teams evaluating their options before Feb. 29. 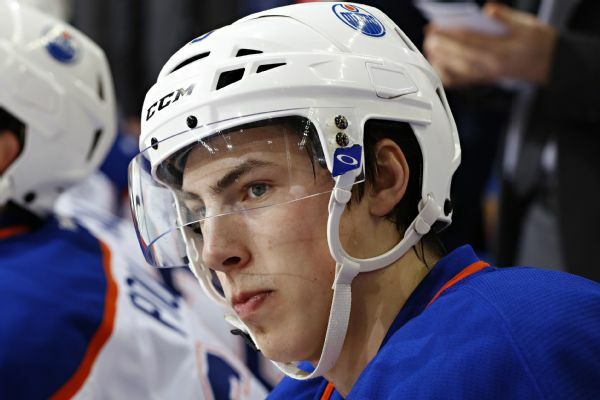 Oilers center Ryan Nugent-Hopkins, the No. 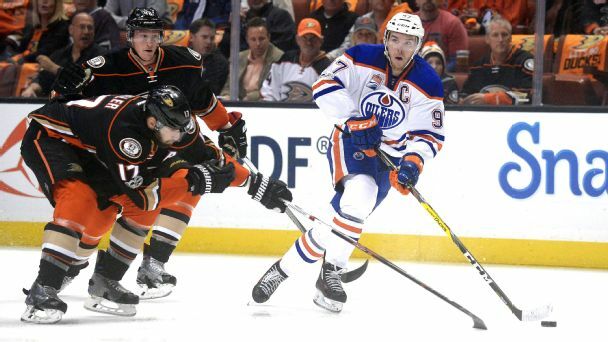 1 draft pick by Edmonton in 2011, will be out six to eight weeks after injuring his hand Monday night.